the first spinning i’ve done in quite a while… since the cat ate my drive band. it makes me happy. now i am required to find my niddy noddy before i can remove it from the wheel, so back to working on my home studio i go. 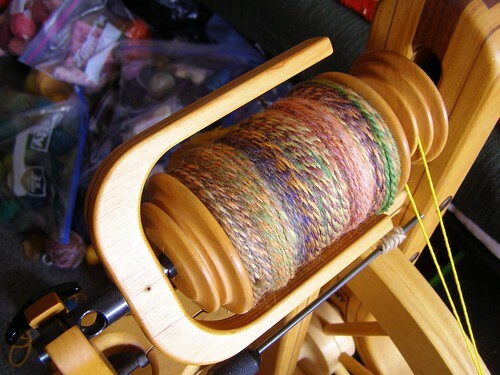 This entry was posted in cosyknitsliterally, spinning by cosymakes. Bookmark the permalink. lovely color blending! keep that kitty away! Very pretty! shooo the kitty away from the spinning wheel.